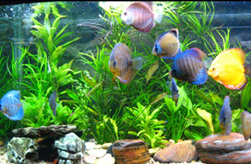 You can rely on Best Fish for the highest quality, healthiest freshwater tropical fish species in the area for freshwater fish tanks, aquariums and more. We've got a great selection of angels, plecos, cichlids, livebearers, tetras, and much more! 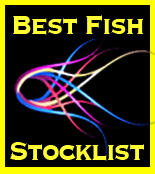 No one in the area offers a better selection of healthy marine fish for the saltwater aquarium than Best Fish. From angels, to clownfish, gobies, tangs, wrasse and more... The finest specimens in Milwaukee are in our store. Click on our STOCKLIST to review our latest inventory.